NORTH BAY — Election signs. With every campaign comes a deluge of election signs, but what happens after the election is finished and the winners have been picked? In a landmark agreement, spearheaded by local Environmental Activist Tad Willis, all the North Bay candidates for City Council and Mayor have to come together for a greater cause: recycling their election signs into a house for the homeless. With donations from businesses around the city, the signs will be pressed, melted, bent, and molded into a 3 story, 2.5 bathroom house located on Cassells Street. 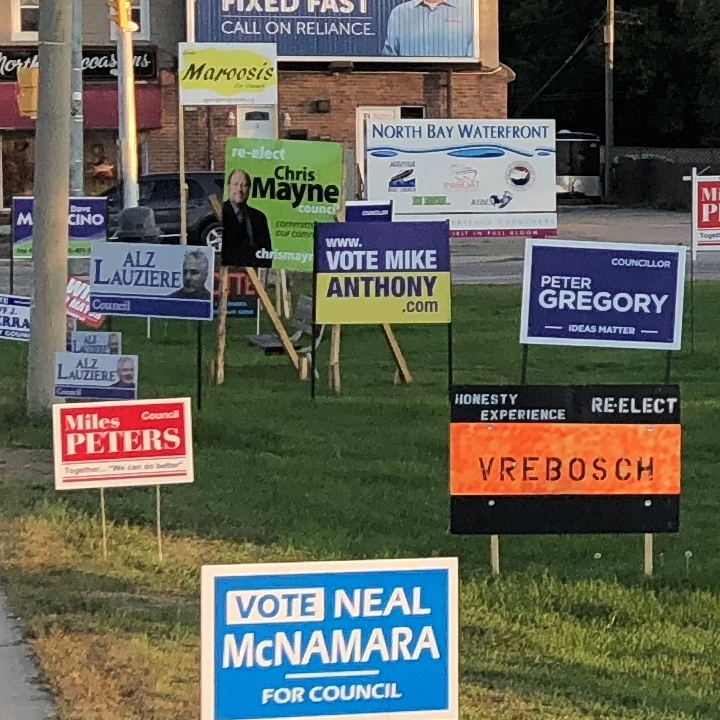 The election sign house has found support not only with hopeful candidates, but also with the current Council and Mayor. “We finally got Neal McNamara when he stopped to rest after successfully planting more election signs than people in North Bay,” says Willis. Following the election, the shelter looks to be finished by November 25th, 2018.